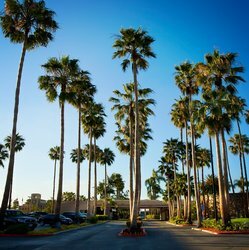 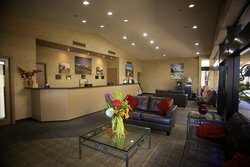 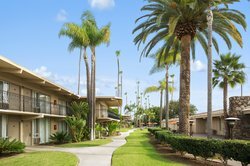 Book your stay at the Ramada Hotel & Conference Center by Wyndham San Diego North to enjoy well-appointed accommodations, exclusive amenities, and a great location on your next trip to San Diego! 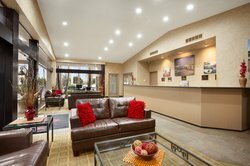 Whether you’re visiting the city for business or pleasure, our hotel has all the essentials you may need throughout your stay. 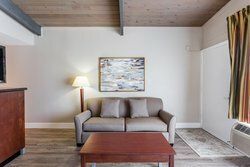 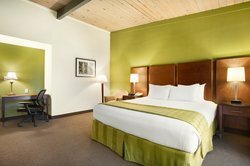 Rest easy in one of our charming guest rooms or suites, take a dip in our large outdoor pool, or enjoy some authentic southern cooking at our on-site restaurant, Proud Mary’s Bar & Grill. 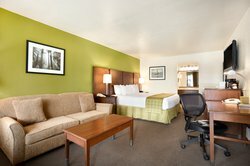 Hosting a meeting or event? 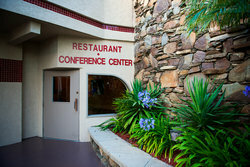 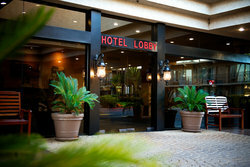 Our on-site conference center is perfect for your San Diego gathering, whether it’s an intimate occasion or grand event.